For most men, shaving is a ritual that almost defines their masculinity—having a beard is seen by many cultures as a sign of manliness and virility, after all. Not too long ago, growing a full beard came into vogue, and while that trend is still current, the same cannot be said of hair on other parts of the body. Aversion to having chest and back hair has been increasing for quite some time. Once primarily the practice of bodybuilders, cyclists, swimmers, and dancers, hair removal is quickly gaining a foothold among men who want to thin down or permanently remove hair in undesirable areas. 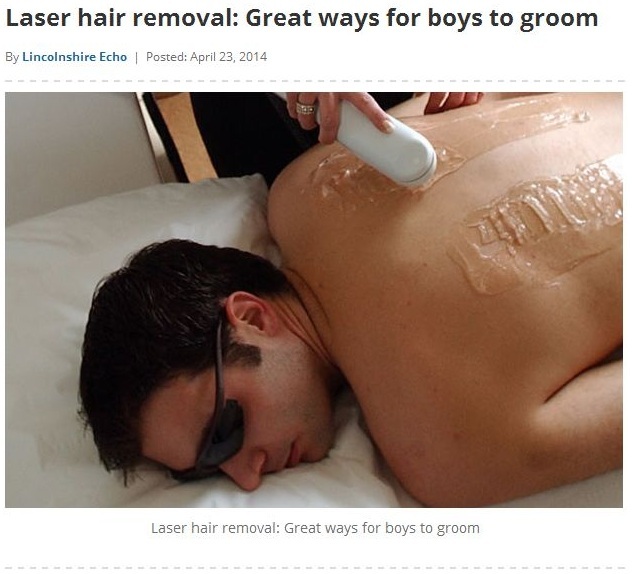 As an April 23, 2014 article on Lincolnshire Echo reports, laser hair removal is one popular method that men are turning to for help with their unwanted hair issues because of its speed, precision, and relative permanence. However, before men make a beeline for a medical spa or clinic offering laser hair removal in Albuquerque, there are a few things they will need to keep in mind. The laser hair removal machine works by sending highly concentrated light into the skin. This light is absorbed by the pigment in hair follicles, which destroys the hair and kills the follicles they grow in. Since the lasers selectively target dark pigmentation, they aren’t effective on individuals with blond, grey, white, or red hair. By the same principle, laser treatment works best on lighter-skinned individuals. However, machines equipped with an Nd: YAG laser can effectively be used on individuals with dark skin. It is important to keep the skin as natural as possible before laser hair removal. Too much exposure to the sun must be avoided, as should sun beds and tanning products, for at least a month prior to treatment. This ensures that your skin is as light as possible to increase the effectiveness of the treatment, and keeps the laser from compounding sun burns or other exposure-related skin problems. After treatment, it is essential to avoid hot baths, saunas, and steams that may irritate the still-sensitive skin. The chemicals in perfume, body lotions, aftershave, make-up, and swimming pools may also cause irritation, so these should be avoided as well. Finally, men should keep in mind that, because the laser essentially burns away tissue, laser treatment has its risks—although the practice is generally safe and any side effects disappear quite quickly. For best results, it is always best to work with a clinic or medical spa, like Belleza Med Spa, with a trusted record for laser hair removal in Albuquerque.